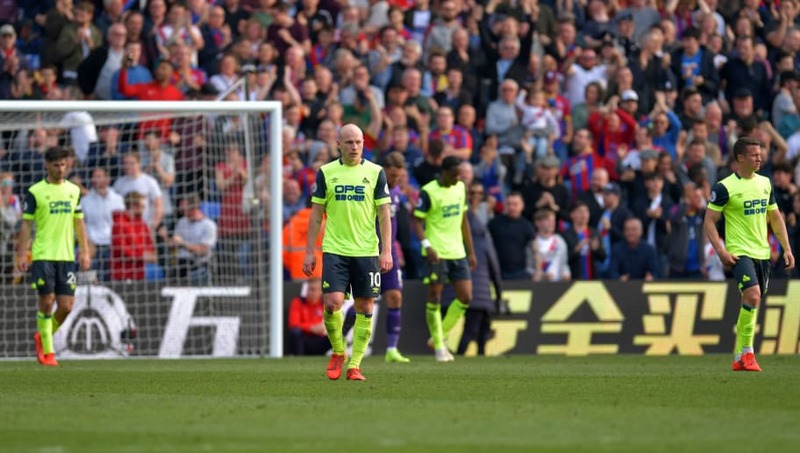 ​Huddersfield Town's relegation from the Premier League was confirmed on Saturday afternoon, as Jan Siewert's side fell to a defeat at Selhurst Park. ​Huddersfield now hold an unwanted record as they become the joint earliest team to be relegated from the ​Premier League, along with Derby County who lasted one day fewer in the calendar but were also condemned after 32 games played. The Terriers appointed Siewert as manager after last season's hero ​David Wagner left by mutual consent, but the German has not been able to turn around results at the John Smith's Stadium, with the club winning just three games all season and only one under their new boss. Although embarrassingly early, relegation confirms what many thought inevitable for some time and now the club, who arrived in the top flight as underdogs in 2017/18, must focus on saving face in the final six games, before returning to the ​Championship.